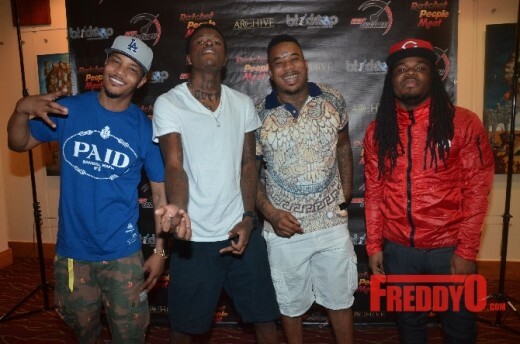 Jacquees Presents the “Mood” Tour in Atlanta, GA ! Jacquees(Singer/Choreographer/Writer) was born on April 15, 1994 in Atlanta, GA. He found his passion for both singing and dancing at the age of 9 with influences from The Jackson’s: An American Dream and The Temptations movies; imitating no less than the greatest. He has already started work on songs written by award winning writer, Ne-Yo and will be in the studio working on his upcoming iTunes album ‘Round of Applause’ with other notable writers including Jagged Edge’s Brian & Brandon Casey, Musiq Soulchild and TC, who has penned songs for several artists including, Beyonce’. 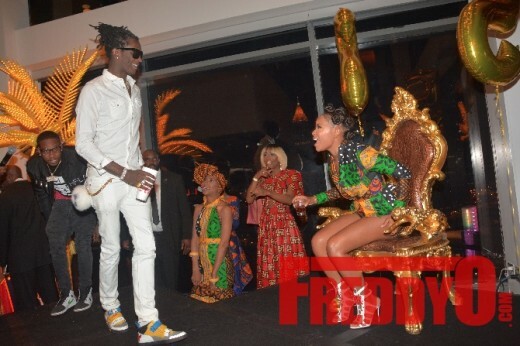 Dej Loaf’s Royal African Birthday Bash brought the whole city out!!! 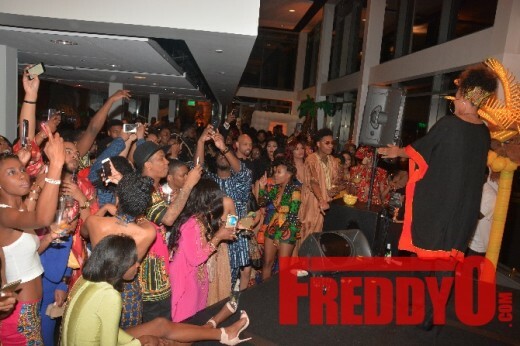 The team of Eyelash Vizion Queens Shante Traynham Mimi Carpenter and Shavala Jenkins did it again throwing one of the best birthday parties for their celebrity client Dej Loaf at the chic venue Ventanas with the Coming To America theme that was amazing. There was Lions, Monkeys, Exotic Birds and a Python snake which gave it the Royal African Safari feel. Essence Music Festival just announced that Kendrick Lamar, Mariah Carey, and Maxwell are set to headline the 2016 4th July weekend. 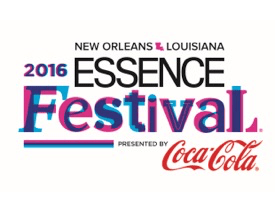 Get your money together and get ready to kick it in New Orleans for the 2016 Essence Music Festival because it’s going to be EPIC! 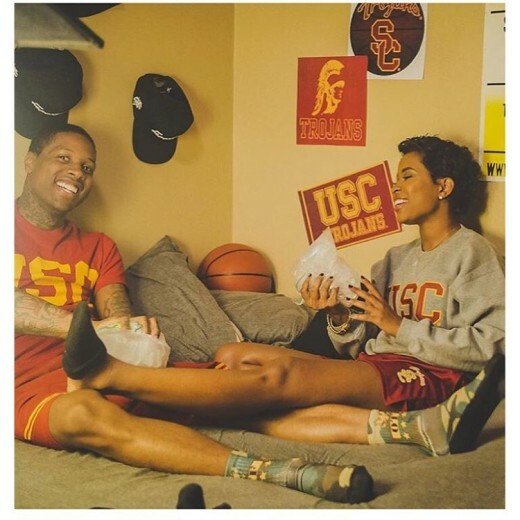 Easy to see that superstars Jay-Z & Beyonce have inspired that of the popular #RELATIONSHIPGOALS, carrying over now into a new one from Chicago’s LIL DURK & Detroit’s DEJ LOAF (who have been rumored to be more than friends for quite some time now) in their collabo “My Beyonce.” Celebrating love in the “Love & Basketball” inspired video, take a peek below, your comments are ALWAYS welcome & MANDATORY…Enjoy!!! 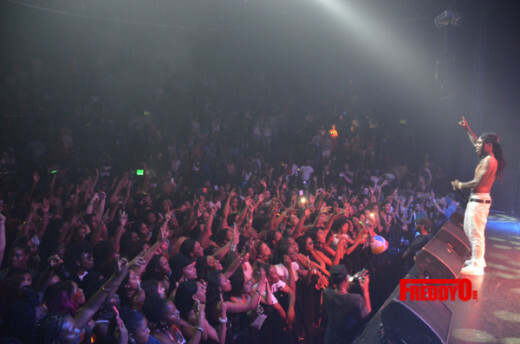 This has got to be one of the dopest events I’ve been to this year! Ratchet People Meet presented “Socially Profiled”, a Live Sketch Comedy infused with Stand-Up. Big kudos to TI and 31 Minds for giving back. They helped with the production, which is cool because they are giving the young comedians a chance to be heard. I got to watch some of the biggest up and coming black YouTube, Instagram, and Vine stars around. Although the name might be a turn off to some of you (Ratchet People Meet), don’t hold that against them. The Ebonics, the slander, and the cursing was actually everything i needed that night and I think that at some point we need to be a little more rathcet. I think we need to learn how to cut it off but we need a little ratchet in our lives. 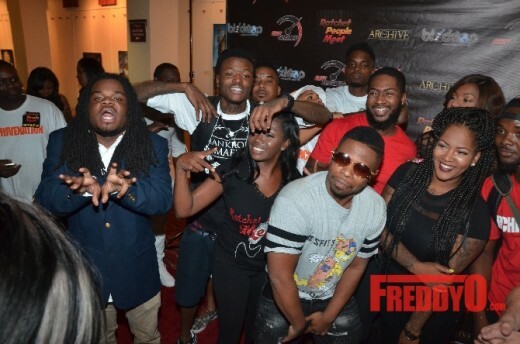 Some of the comedians that participated in the show include Emmanuel Hudson, DC Young Fly, Marco Lavelle, Ernestine Johnson, Brussy, Marly St Cloud, Navv Greene, E the Duchess, Will Foskey, Money Bag Mafia. 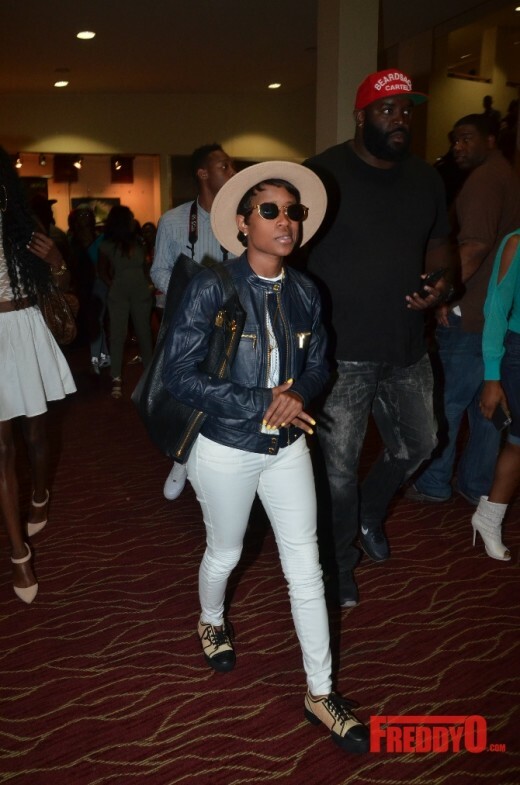 Detroit rapper Dej Loaf was in the building. DirecDirector Will Packard surprised the group when he came back stage and showed his support. PS: Will Packard is one of the biggest movie producers in the country. 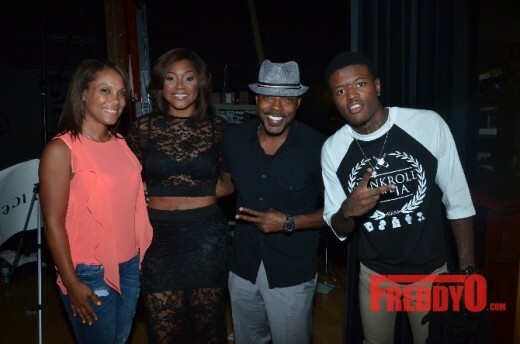 Director Will Packer surprised the group when he came back stage and showed his support. PS: Will Packer is one of the biggest movie producers in the country. 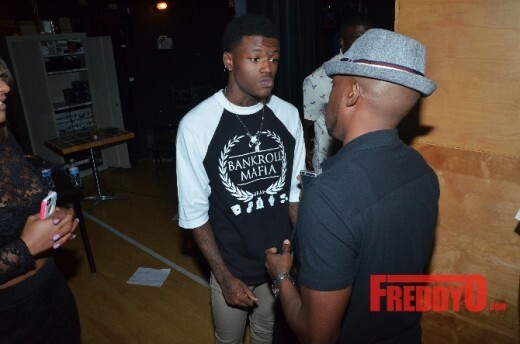 DC Young Fly getting some great advice from Director Will Packer. 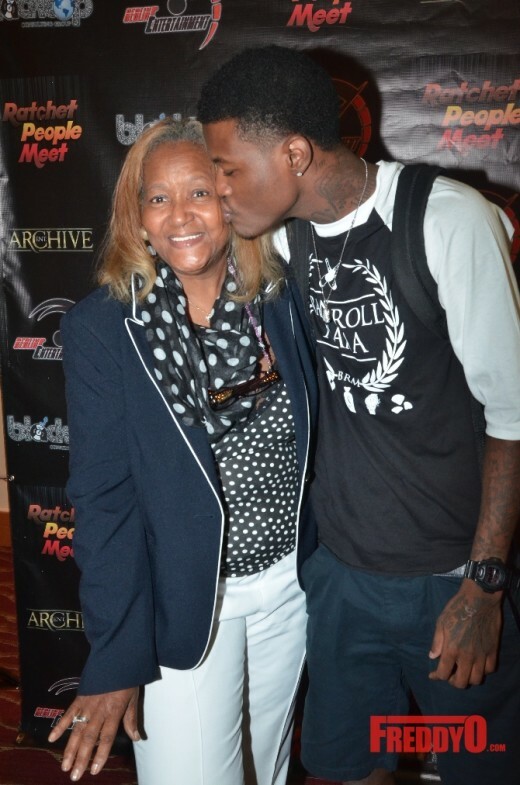 Rocko, CEO of Atlanta based A1 Recordings came out as well.